World, meet Sarah Hendy! Isn’t she lovely?! Sarah and I went through school and University at the exact same time, but somehow our paths never crossed, probably due to the fact that we grew up in totally opposite ends of the Isle of Man (she being from the far north, and me from the deep south!). At the start of 2015 we came across each other at an event celebrating ‘Island of Culture’, and became pals. I already knew that Sarah was a fellow creative, having heard about her fantastic wearable art which has been showcased as far away as in New Zealand at the World of Wearable Arts Awards Show and by the likes of singer-songwriter Katie Melua, but I had no idea that she was also a singer. Later in the year, I was speaking to a mutual friend of ours who lives in Shetland and who was involved in an artist ‘lock-in’ during summer 2015 in Jersey. He told me that he had met a young woman from the Isle of Man who ‘also has a fantastic voice’ – Sarah! 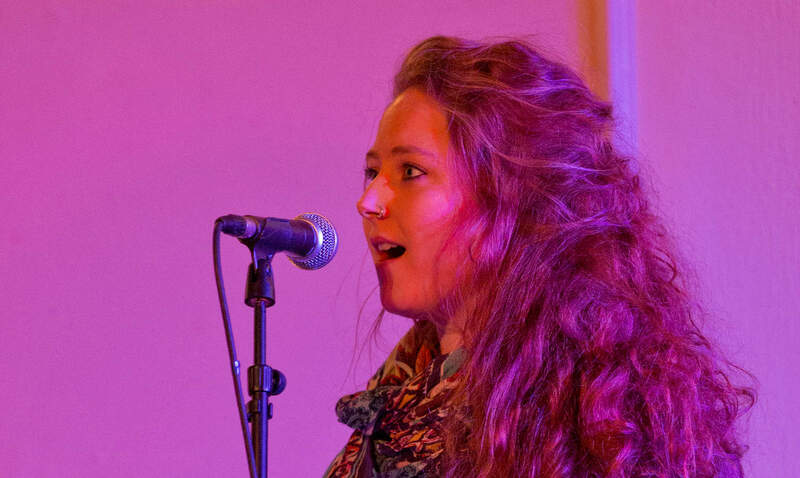 During the ten-day residential inter-Island ‘lock-in’, the artists had created pieces of theatre which incorporated musical elements and Sarah had impressed with her singing. Coming from a very musical background, this is hardly a surprise – Sarah’s Mum Marlene is a well-known traditional singer on the Isle of Man, and was part of the long-standing group Mannin Folk during the 1970s. Sarah and I began singing together at the start of December and gave our first short performance at Mollag Ghennal, an informal annual gig celebrating Manx music around Christmas time, with David Kilgallon (Mec Lir) at the keys. We’ll be performing together again on 13th February at the Peel Centenary Centre, in a concert also featuring singer-songwriter Matt Creer and duo Scarlett Parade. We like to sing a variety of material, including close-harmony versions of traditional songs in both English and Manx.